Much to everyone’s surprise Canon announced a whole host of stuff yesterday including two new entry level DSLR’s, two new flash units, and upgrades to their wildlife long focal length specialist lenses. The latter comprise the EF 500mm f/4.0 MII and the EF 600mm f/4.0 MII, both of which are expected to be commercially available some time in March, but as you’d probably expect these are going to be very, very expensive and as such only available to serious pro’s and those blessed with wads of spare cash. 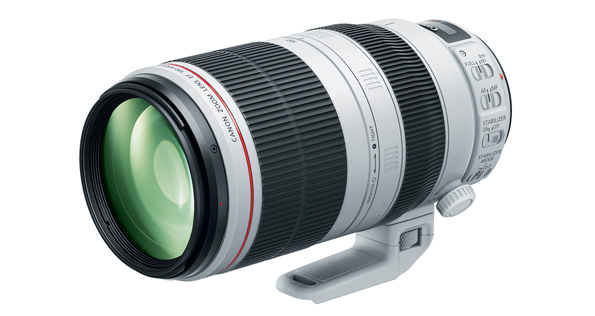 However, what really caught my eye was the announcement of a prototype EF 200-400mm f/4.0 IS USM EXTENDER 1.4x lens. That’s some title! Nikon wildlife photographers have long since been extolling the virtues of the Nikon 200-400mm f/4 AF-S lens which also received an upgrade last year. This is a lens favoured by British wildlife photographer Andy Rouse and is generally accepted as just about the best multipurpose, wildlife zoom lenses around. It’s also a gap in the market place that Canon had failed (as yet) to match. 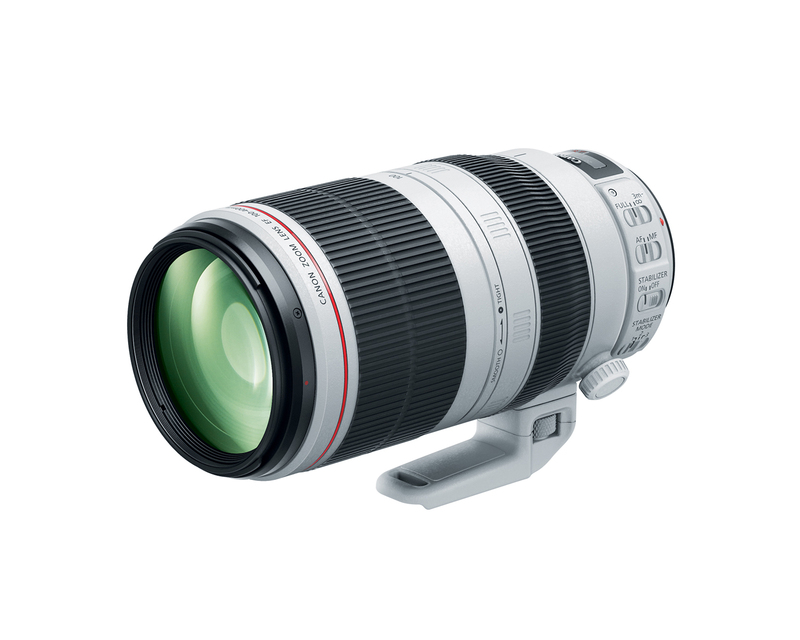 Canon do of course have their EF 100-400mm f/4.5-5.6mm IS USM lens ( one of which which I own), but this design is getting quite long in the tooth and whilst it performs admirably on sensors sizes up to 12mp, todays 21mp plus sensors highlight it’s short comings in the digital age. If you examine the press release picture above you can’t help but notice that peculir looking bulge on the left side rear of the lens. This houses the in-built 1.4x extender, and has a lever just above to engage or disengage the extender elements. The 1.4 extender can boost the zoom range from 200-400mm to 280-560mm. On an APS-C sized sensor then this would be the equivalent of a staggering 448-896mm! However, don’t get your hopes up as Canon failed to state whether this configuration will autofocus on the semi-pro and consumer bodies. The new lens will feature Canon’s high-performance Image Stabilizer technology and advanced optics materials such as fluorite crystal to provide top notch optical performance. You may also notice the camera has a fixed tripod collar, 3 stabilization modes and also features a Focus Pre-set button. All new stuff. A a wildlife photographer this sounds like a dream lens and one I’d truly love to own, however it is just a prototype and still obviously at the development stage. I just hope that when it does eventually hit the market it’s not going to be priced so ridiculously that photographers like myself will never be able to afford it. Maybe I am just dreaming though! It’s funny how things come about. Last week I was out with a group of photographers down on the rocks at Robin Hoods Bay on the Yorkshire coast. It was an awful day, extremely blustery, with rain, hail sleet and snow. Unfortunately for me, whilst briefly turning to get something out of my camera bag a huge gust of wind blew my tripod over and my Canon 5D Mark-II complete with my 24-105 f/4.0 lens ended up face down in a rock pool. Luckily neither got fully submerged as the kit was covered with an Op/tech rain sleeve (highly recommended at 2 for just over a fiver!) which probably saved my bacon. I retrieved the equipment in a flash (well as fast as this old frame can move in a blizzard) and dried everything off the best I could. Thank god for weather sealing on the 5D MII, I think my old 5D M-I would have been done-for had the same happened to that. The camera seem to work OK but the LCD didn’t come back on for a few minutes. A small amount of water seemed to have got in past the rubber stop on the Extension System terminal on the base of the camera, but after cleaning and drying this out all seemed OK. However, I had been about to attach my Hitech filter holder adapter ring to the lens, which I continued to try to do but it wouldn’t attach. On close inspection I saw the outer threaded rim of the lens was cracked in two places. Dam, that was a blow (or words to that effect!). Alright accidents happen, I’m insured, I can get it repaired I thought. But I’ve booked a holiday at Staithes in a couple of weeks, and have a photo trip down to Dorset at the end of the month. This is my work-horse lens…what I’m going do if it’s not repaired on time? Well I guess you know the answer, yep I bought a new lens. I’d always fancied trying one of those cheap Canon EF 50mm f/1.8 primes that get pretty good reviews. They used to be really really cheap but now have crept up to eighty odd quid. Still worth as punt perhaps at that price. However, after several hours reading many online reviews I decided that forking out an extra couple of hundred for the EF 50mm f/1.4 was perhaps a better investment and Amazon duly got some more of my money. The lens arrived yesterday just after I’d taken the kids to school, complete with UV filter and lens hood (all extras of course). It had snowed the night before and was really foggy, but I had to go out and try it. Above is one of my first efforts (converted to monochrome), rather minimalist I know, but I thought the tree, especially with the broken branch made a good subject against an almost totally white background. As for sharpness, it seems ok, a little too early to tell, but not bad. Contrast, well not the best subject to tell with either. But you can be sure I’ll let you know how this lens performs real soon.